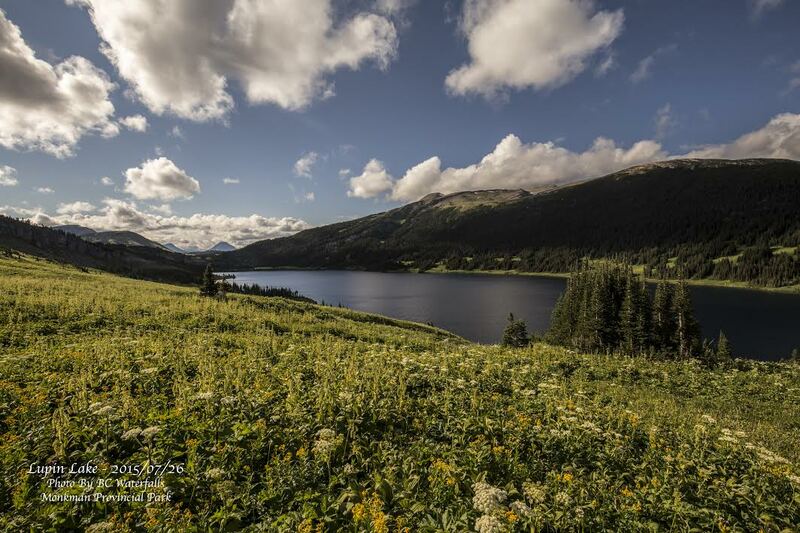 These destinations are for those looking to get off the trails and test themselves. You may navigate this page using the Map’s pins. If you are looking for a map of accessible geosites please click here. 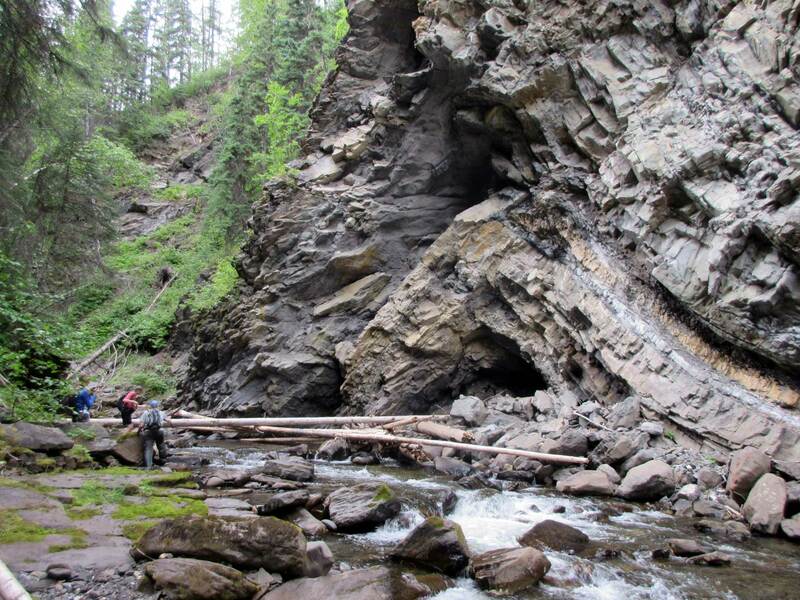 For spectacular canyon scenery, impressive rock folding, anticlines and synclines, substantial exposed bedding planes, coal seams, dinosaur tracks and other intriguing geology, Tentfire Canyon is hard to beat. 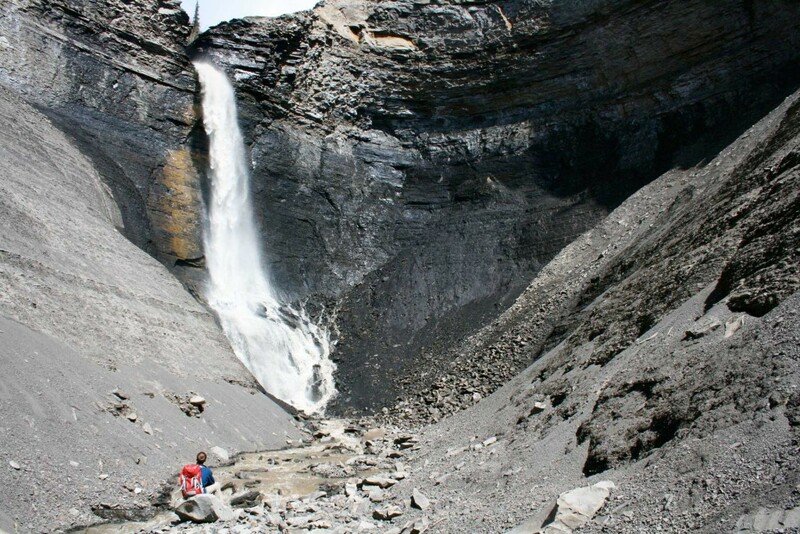 However, it is a challenging trip, which involves repeated wading, and ascending ten small waterfalls. 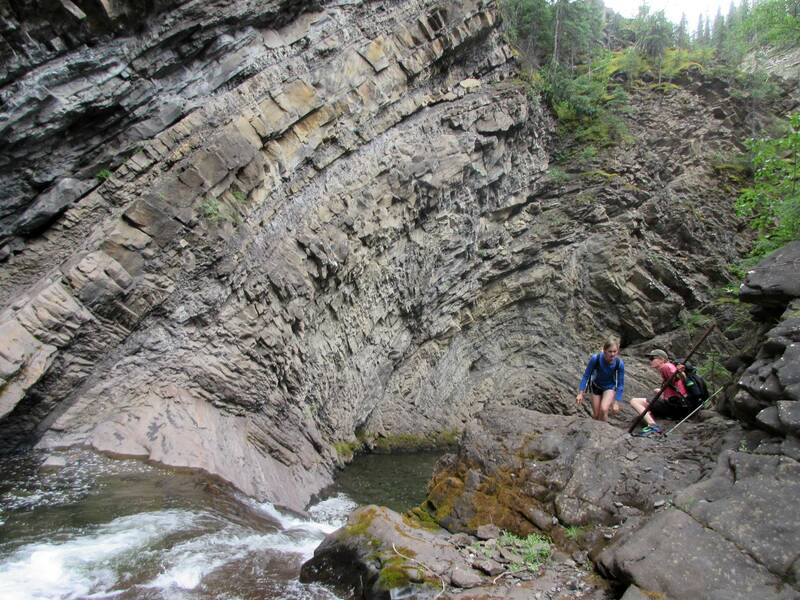 Some of these involve simple rock scrambling, but a rope is not usually necessary. 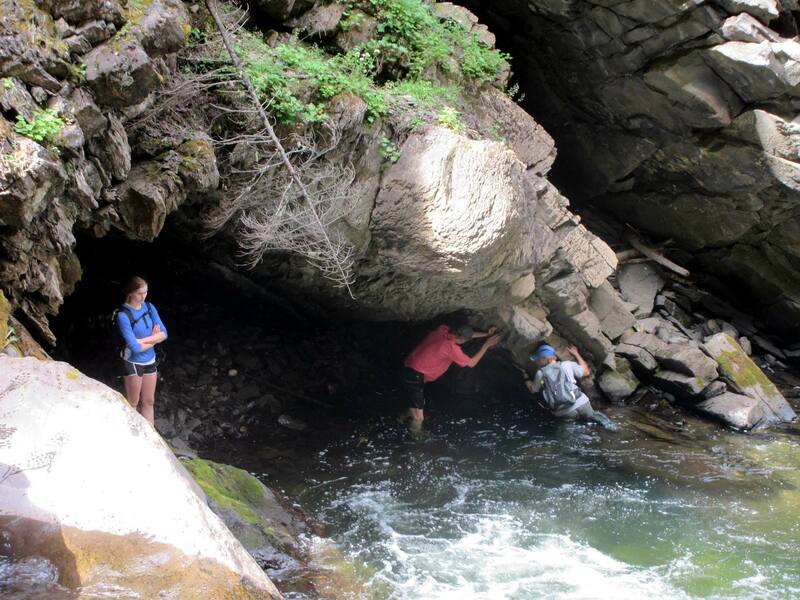 Attempting to ascend the canyon when water levels are high is dangerous. 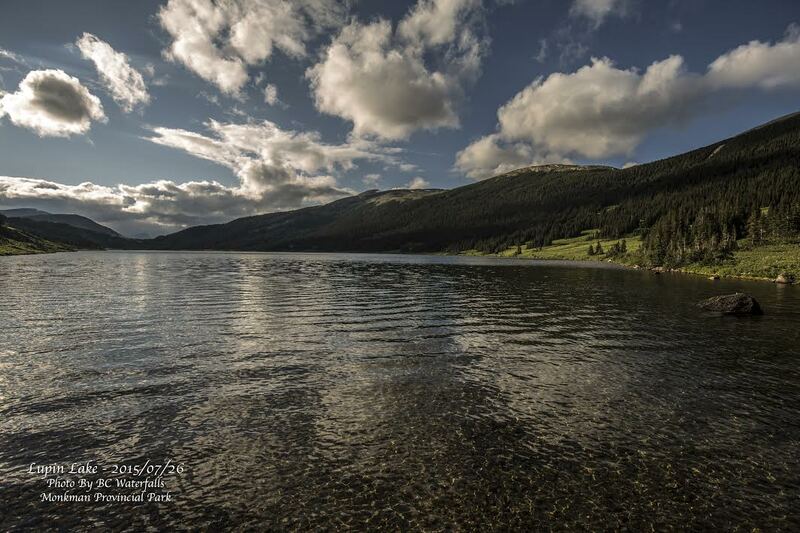 August is the best month, after a dry spell, as temperatures are warm and creek levels are usually low. 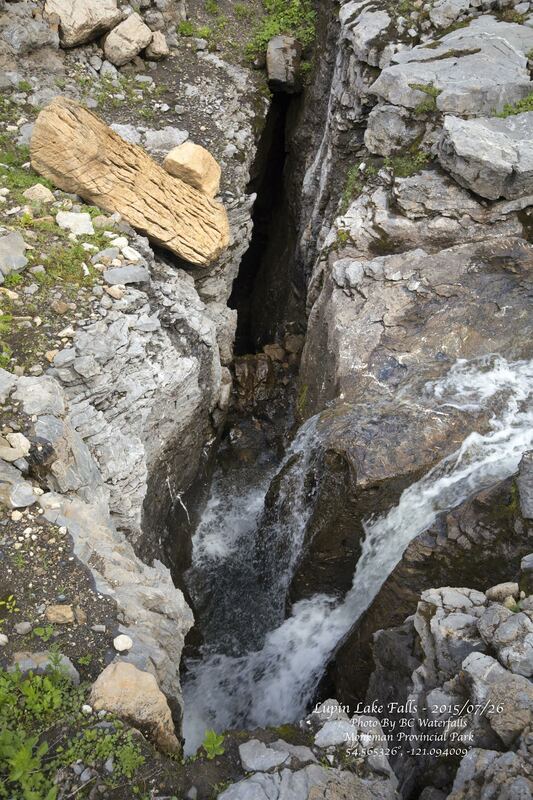 If there is a danger of rainfall or thunderstorms, avoid being in this canyon, as a flash flood would be disastrous. These rocks are in the Minnes Group from the Early Cretaceous Period (about 140 million years old). 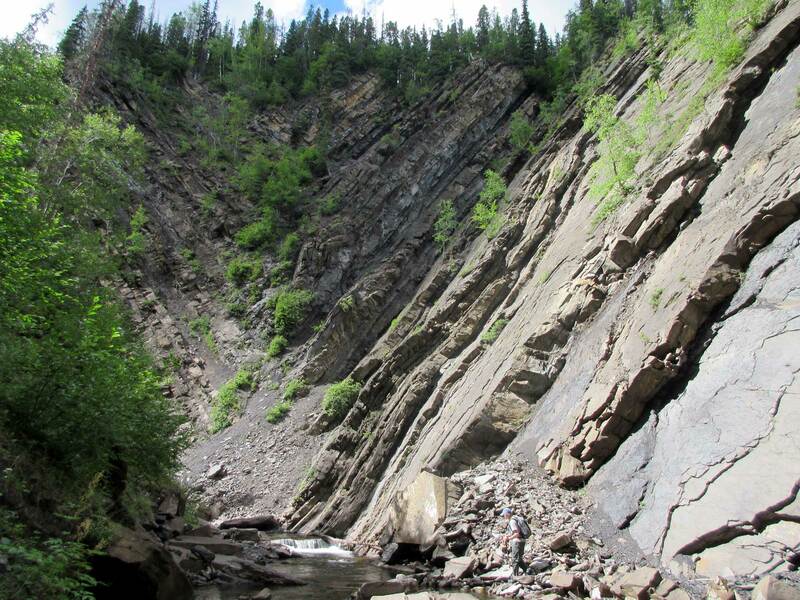 As such the dinosaur tracks are among the oldest found within the Tumbler Ridge area. 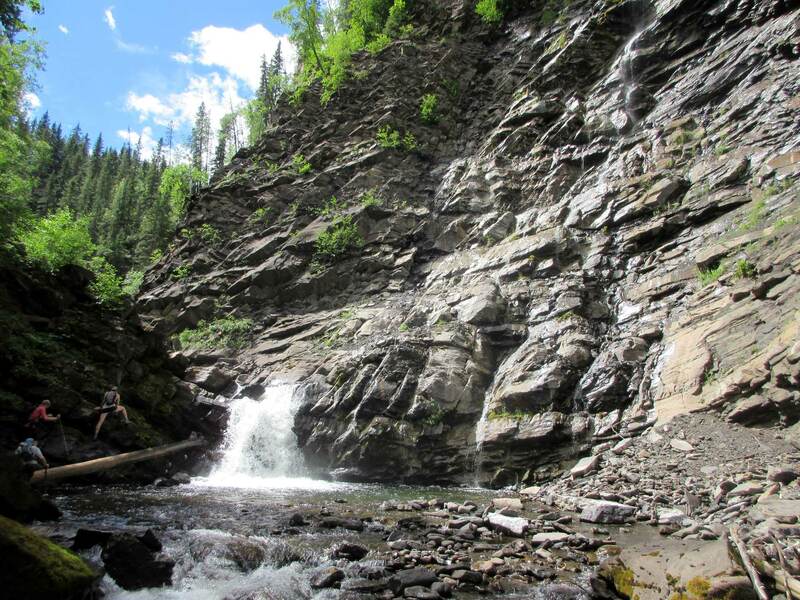 For a dedicated canyon-crawler, Tentfire Canyon is an attractive destination, and the start point is easily accessible, 42 km from Tumbler Ridge along the road to Kinuseo Falls where it crosses Tentfire Creek. This point is 19 kms after the first bridge over the Murray River, and 2 kms before the second bridge. 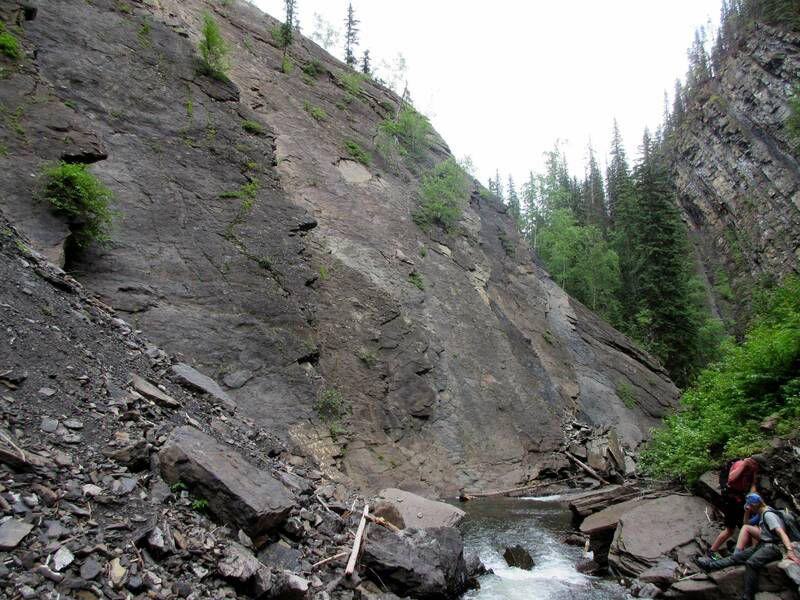 For the first kilometre the creek bed is wide and dry (if it flowing strongly here, the canyon will likely be dangerous or impassable). The scenery improves progressively as the canyon is ascended. When the sluice is reached (a long straight section) it is a good time either to turn round and return (remembering that it is a bit more challenging to scramble down waterfalls than up them) or else to head steeply up through thick, unpleasant forest to reach a forestry road. Turn left on this road, which will eventually take you back to your vehicle. 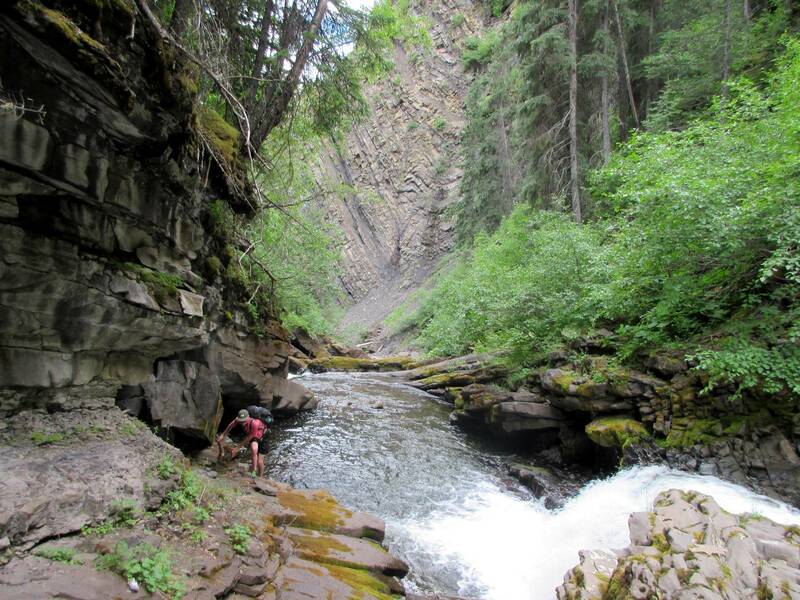 Many may choose to turn back earlier and return back down the canyon, but the full return trip described here is about 10 kilometres and takes at least five hours. 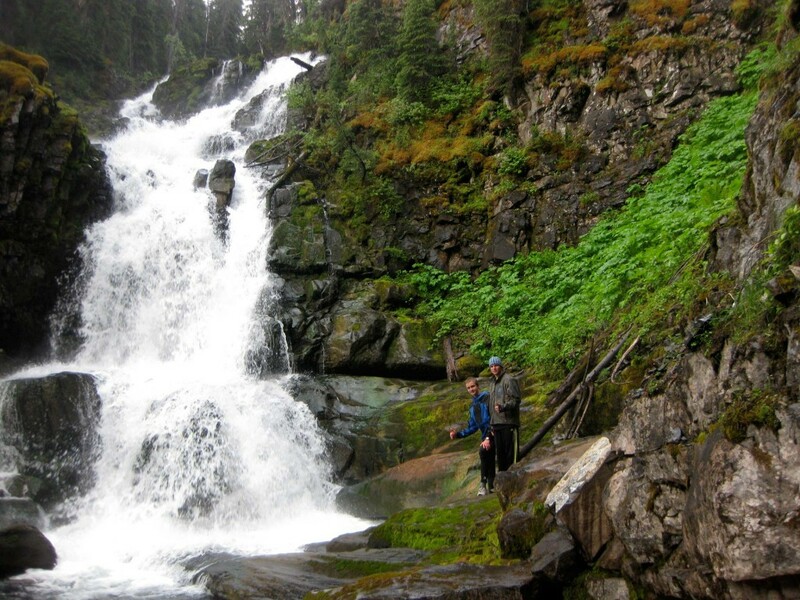 Chris Tremblay has a lofty ambition: to visit all 3000 of British Columbia’s waterfalls. 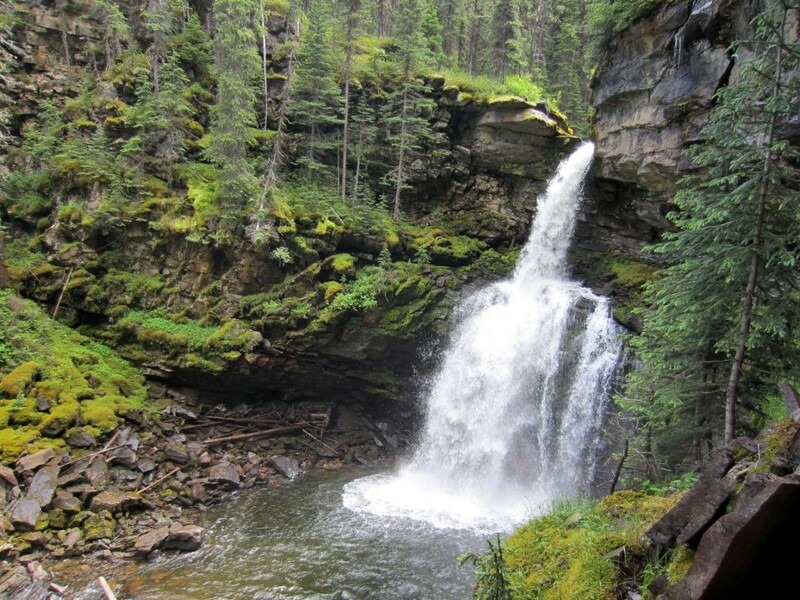 Naturally, this quest has brought him to the Tumbler Ridge Global Geopark, with its plethora of waterfalls. 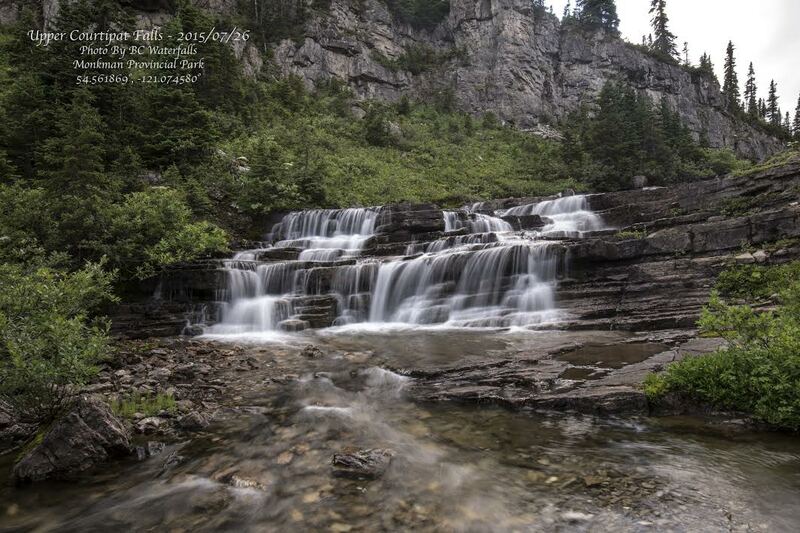 Not content with visiting the standard set of accessible falls, Chris ventured high into the wilderness of Monkman Provincial Park with his buddy Jarius Trelenberg to reach spectacular Courtipat Falls below Lupin Lake. En route not only did they document and photograph two waterfalls upstream from the main falls, but they encountered an underground stream passage, a subsurface drainage feature characteristic of limestone rocks (the rocks and peaks around Lupin Lake are from the Devonian Period, about 390 million years old). 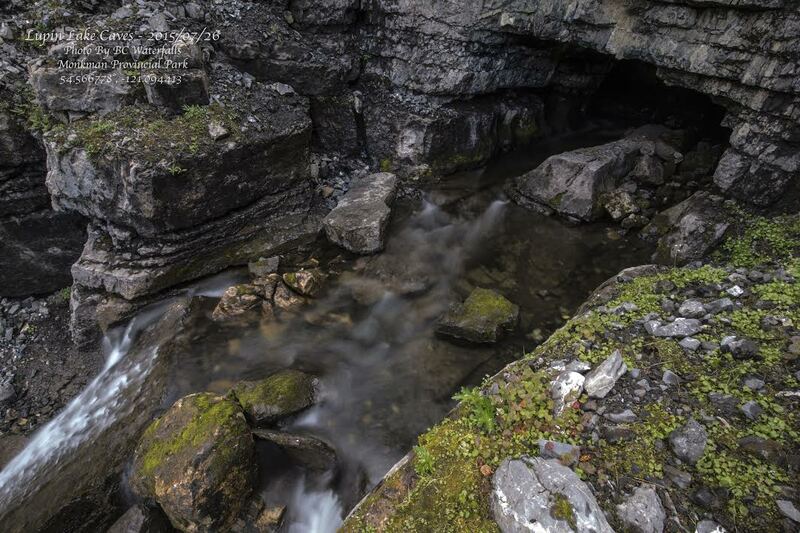 Here a creek tumbles into a deep crack in the limestone rocks and disappears, only to re-emerge from a cave as a small waterfall 150 metres down the valley. 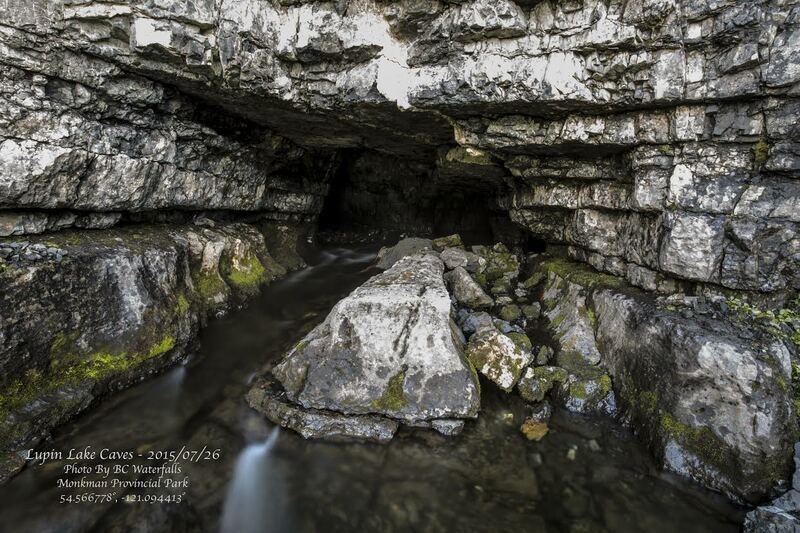 When Chris visited in late summer, water levels were low enough that entry into and up this underground river system was feasible, providing an awe-inspiring subterranean experience. Beside the impressive Courtipat Falls, another stream emerges from an inaccessible opening in the high limestone cliffs. 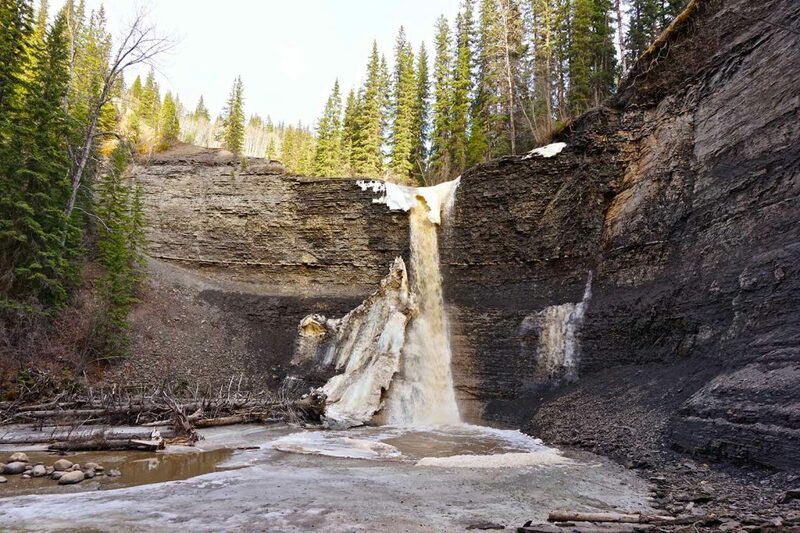 Courtipat Falls is names after Alfred Courtipat, a trapper from Kelly Lake, who worked the area many years before Monkman Provincial Park was designated. Access to this remote area is challenging. 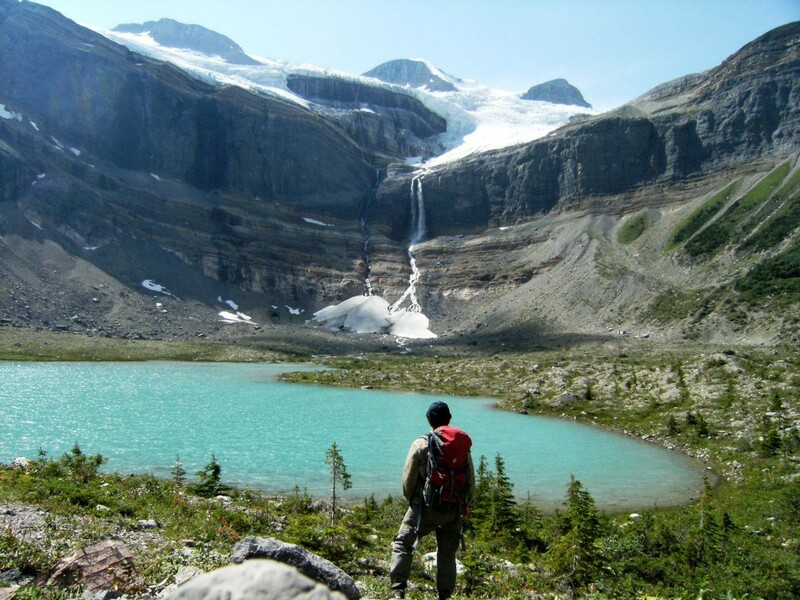 It involves trailless alpine wilderness and ridges from the Monkman Tarns area, which in turn is accessed by a challenging route up from Monkman Lake (which is 24 kilometres from the trailhead at the Kinuseo Falls campground). 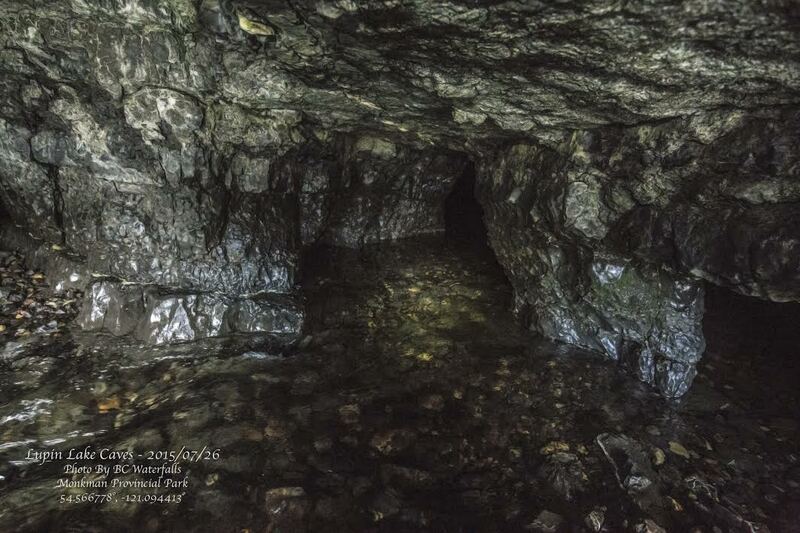 The underground stream passage is to be found 100 metres up the main creek that enters Lupin Lake from the south, about 400 metres from the west end of the lake. 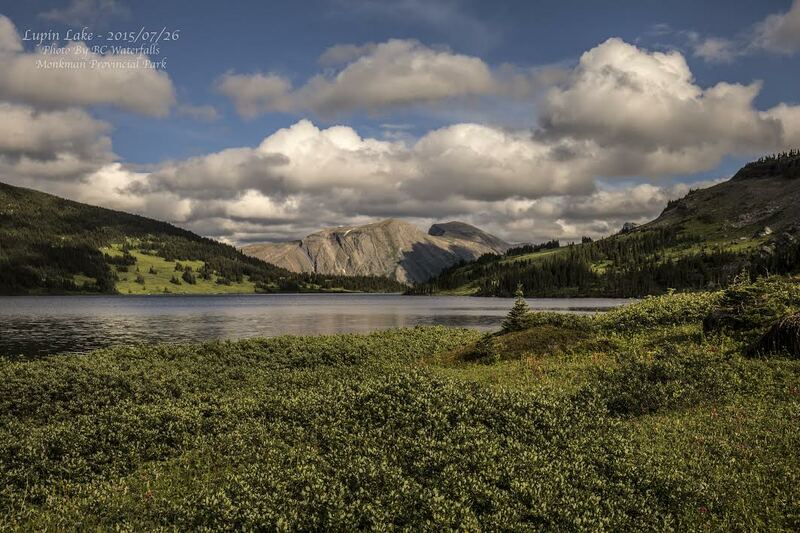 Chris Tremblay’s evocative photographs capture the majesty and excitement of this remote Geosite. Very beautiful, but a tough 4 km. 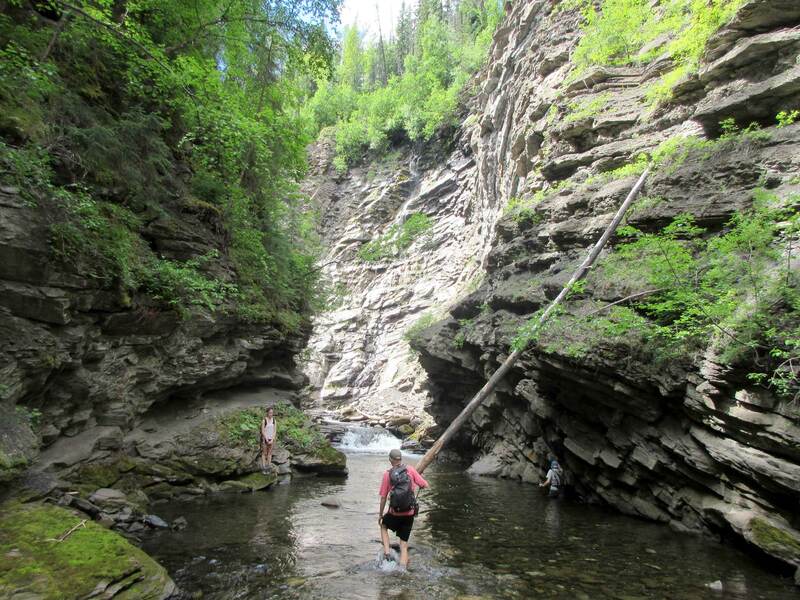 Be prepared to scramble down cliffs and use a rope hand-line if needed, to pass through thick underbrush and bog, and to wade in the river as you approach the falls. 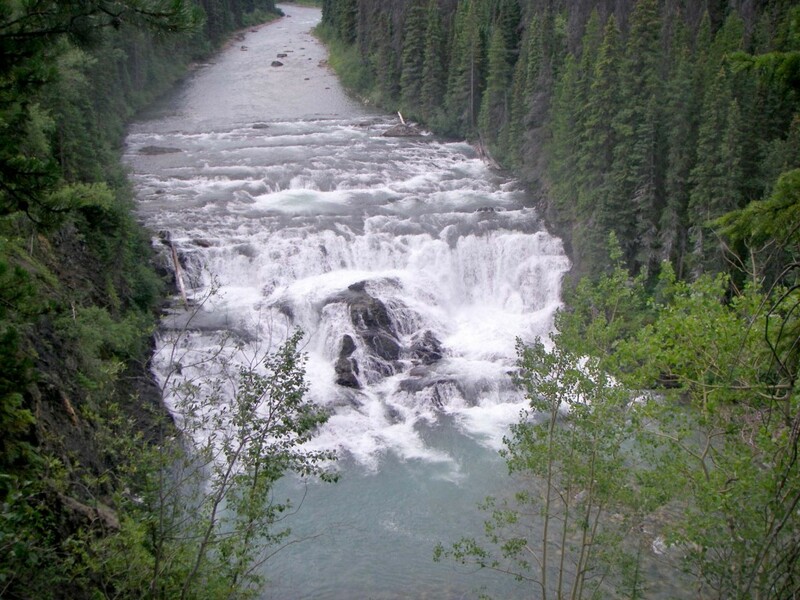 If you have the energy, consider climbing up through the cliffs to access the higher falls just upstream. If you do so, take some photos and bring them back with you and show us. It’s possible nobody has ever done this before. Drive as far as you can go, then mountain bike or run as far as you can on old logging roads to the furthest cutblock. Bushwack through forest and swampy terrain. Be prepared for creek crossings that may be impassable in flood. 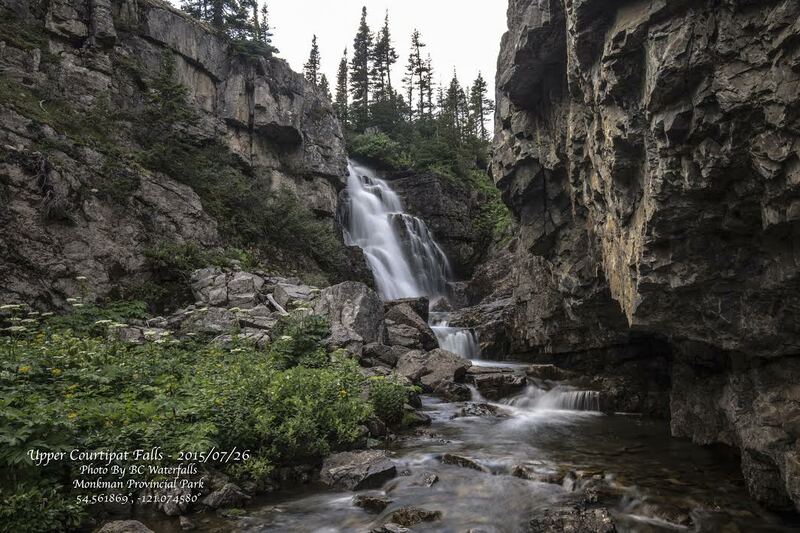 You will end up at a turquoise lake filled by the creek from these falls, which come off the Bulley Glacier. The mountain above the falls is the highest in the region and is the source of the Murray River. 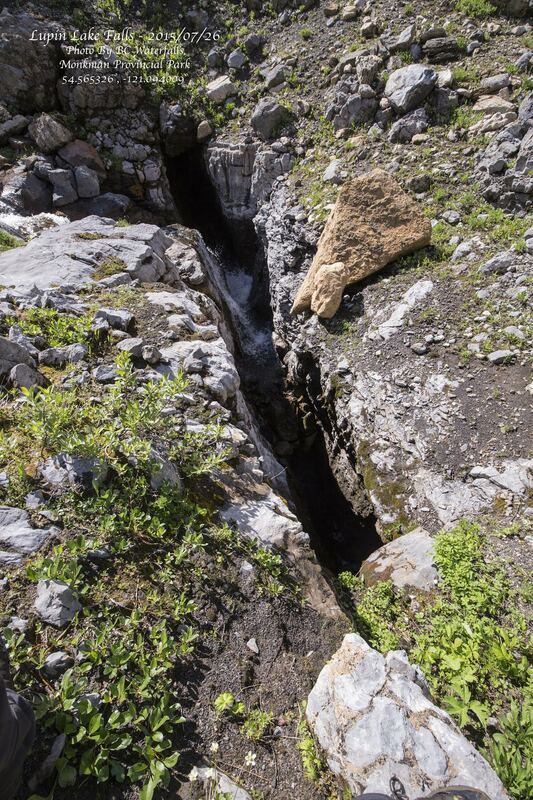 Use seismic lines to work your way into the creek above the falls, then descend beside the creek. When you reach the lip of the falls, climb up and over ridge on the left to descend to the pool at the bottom (a great place for a swim). When creek levels are low consider descending further through the slot of Salt Canyon. Riverboat Access: The easier way to this spectacular waterfall and canyon is to be deposited by boat at the mouth of Salt Creek, head upstream and then north up Skunk Creek to the falls. 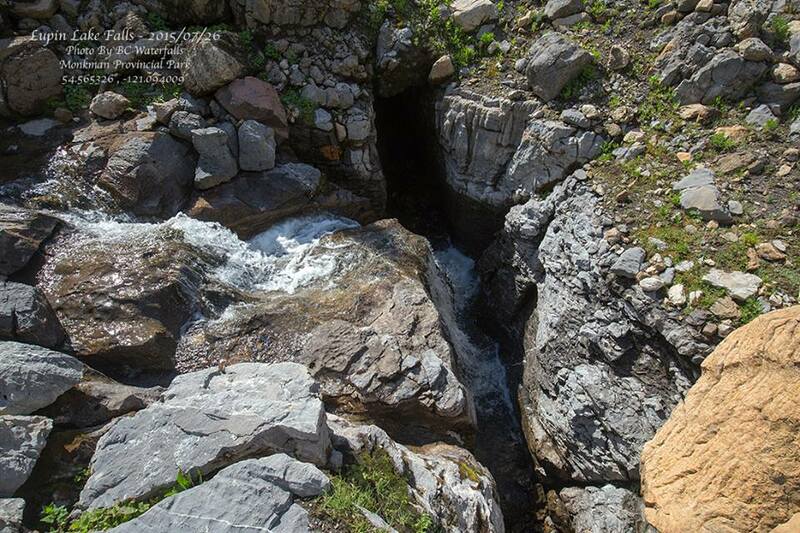 Be very careful of falling rocks and debris in the steep canyon below the falls. Head west along old and new industrial roads and seismic lines to near the upper falls, then down the steep ridge on the eastern flank of the falls into the creek (the ridge on the western flank of the falls is much trickier), then up the creek to the falls. 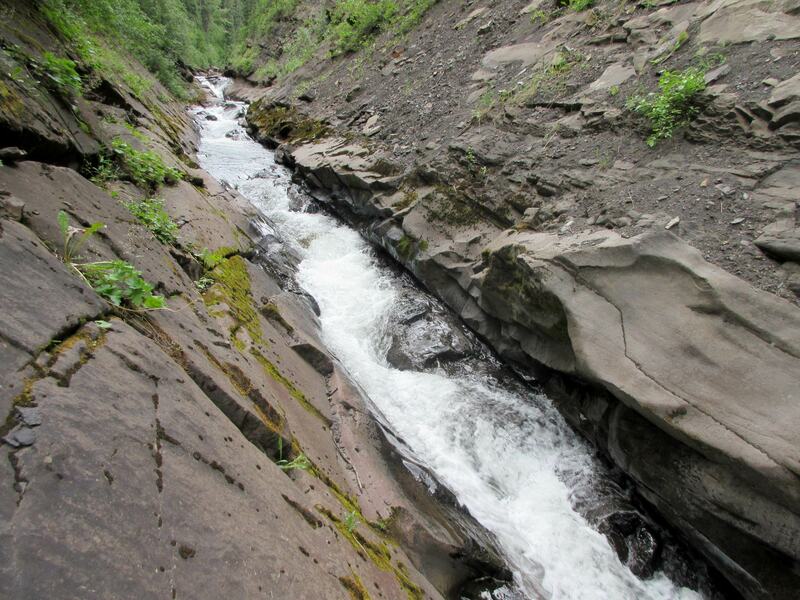 Be very careful of falling rocks and debris in the steep canyon below the falls. Look for occasional flagging to guide you from the roadside down ridges and between steep cliffs to the base of the falls. 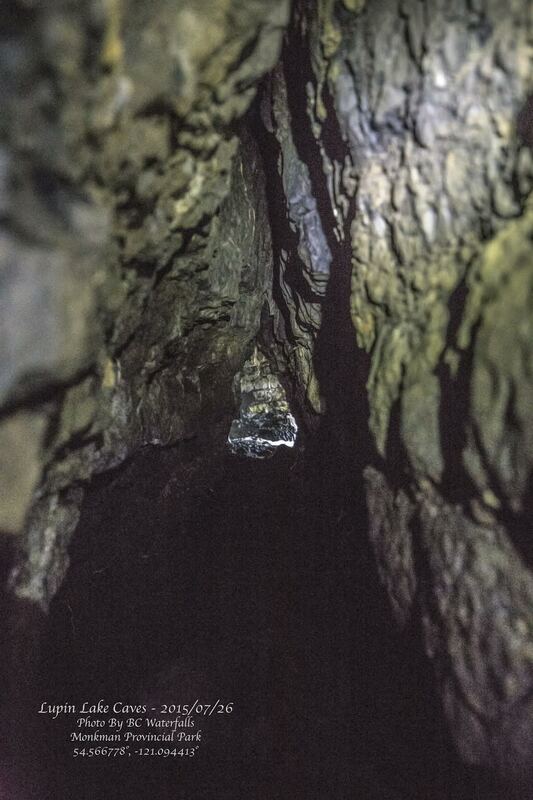 There is only one safe way down through the cliffs. Head though an old cutblock, then through forest to the east bank of the Murray River. This bank is lined by steep cliffs – exercise caution. It is possible to descend with care beside the falls if water levels are low, definitely not when levels are high. Proceed through very thick bush to the Wolverine River, which needs to be forded. There are a few seismic lines which may help, otherwise it is through the forest until you hit the creekbed (often dry). Ascend in the creekbed until the falls and surrounding cliffs are reached. 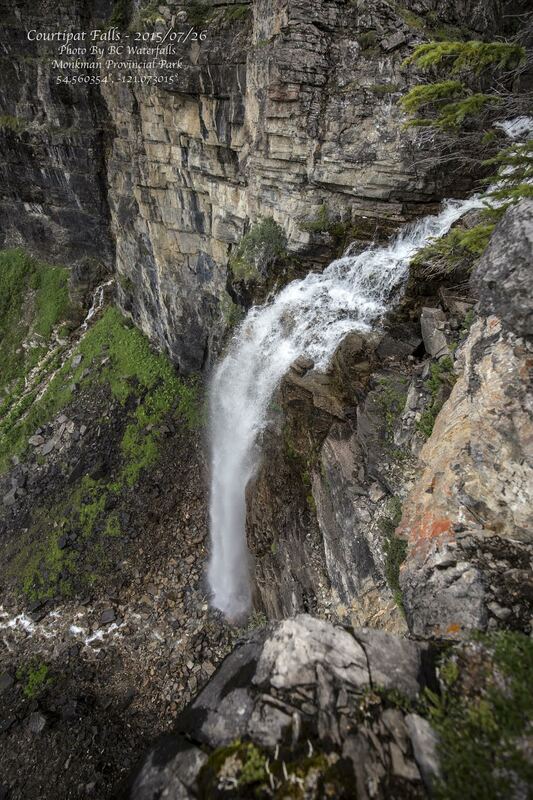 It is worth climbing the cliffs to see the middle and upper falls and pools. 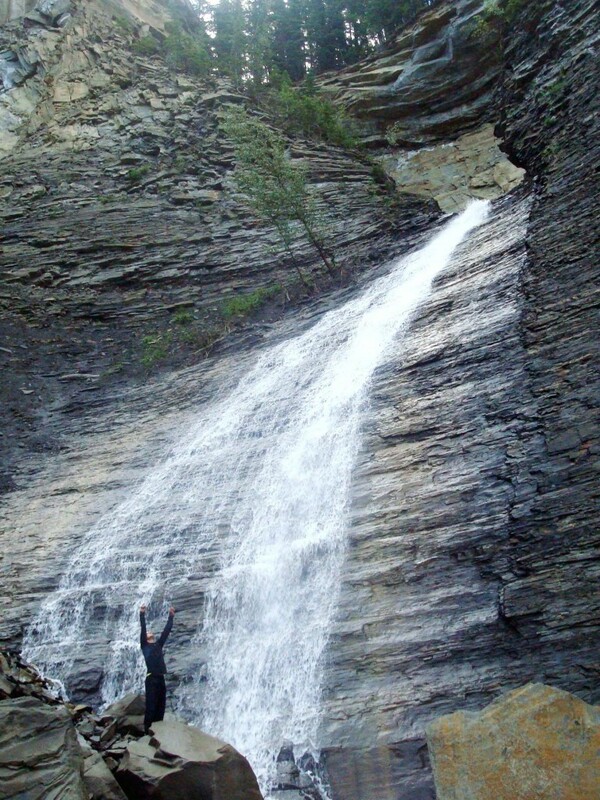 It may be possible to climb down to the top falls. 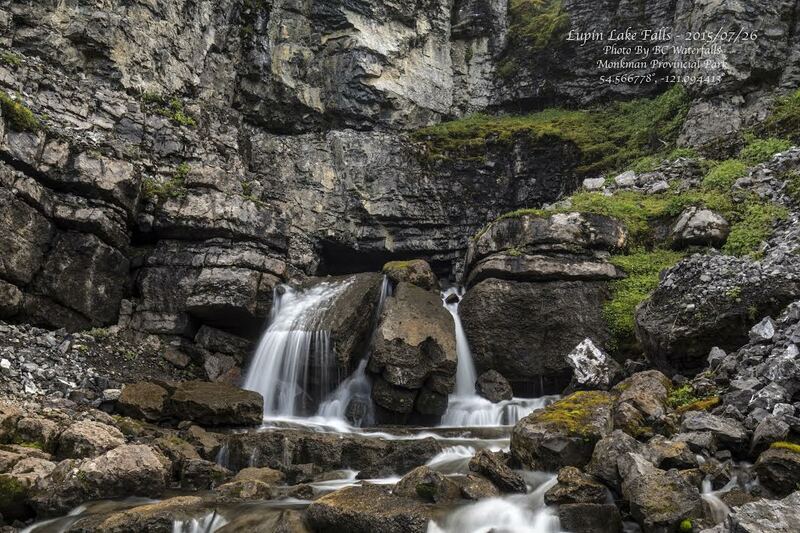 The falls are in conglomerate rock, which allow for the creation of unusually attractive rock overhangs and scenery. The main hazard is the Wolverine River crossing – avoid this when water levels are high. Park beside the train tracks, then walk beside them towards the mountains. 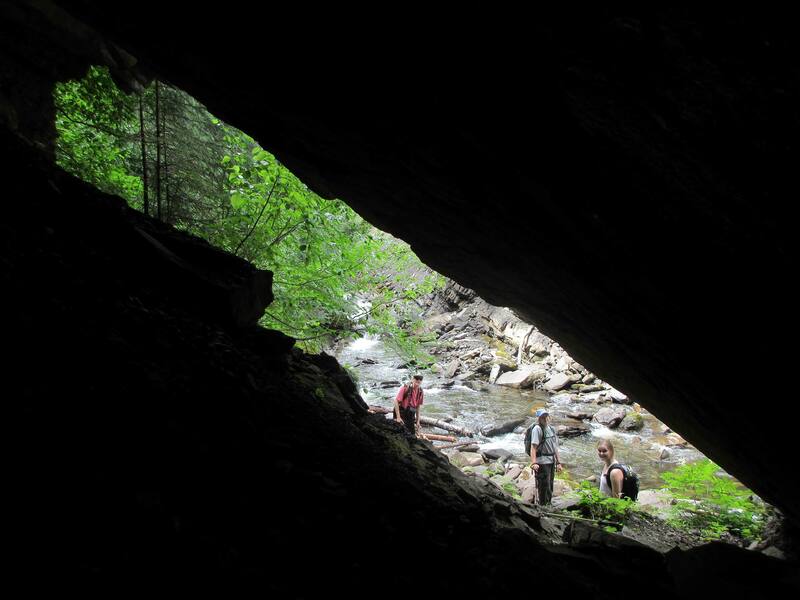 At the tunnel entrance (one of the longest in Canada) head left to the creek, and ascend the rough terrain beside the creek to the falls at the head of a box canyon. These falls are definitely best accessed from a boat trip on the river. 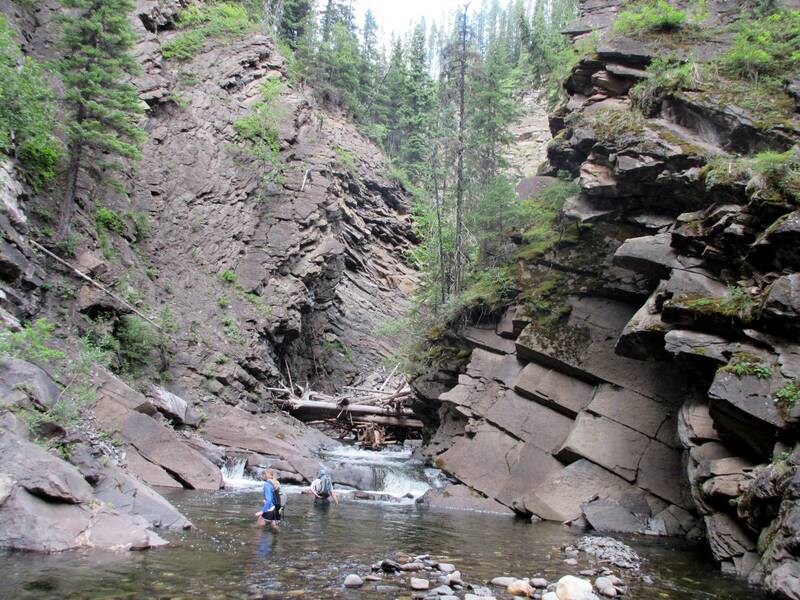 Squeeze between enormous boulders to reach the lower falls and gaze up at the upper falls. 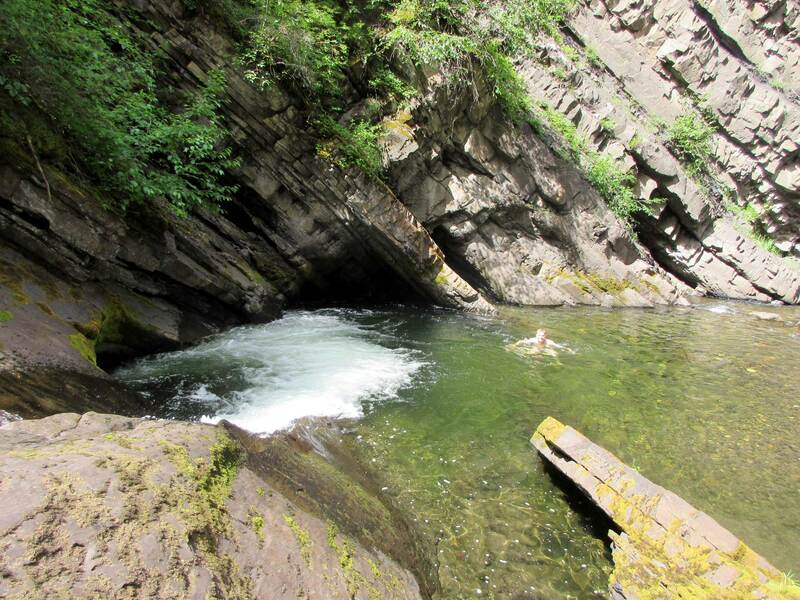 The easy way is to get deposited at the mouth of the creek by boat, from where it is a short jaunt up the creek to the falls and canyon. Flow diminishes when conditions are dry – best in spring or after rain. 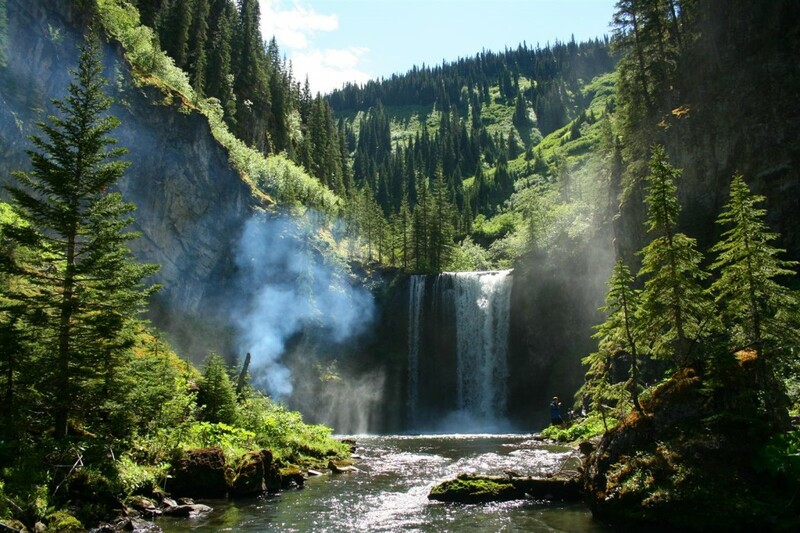 Drive as far as you can up the Quality Forest Service Road, then hike, run, ATV or mountain bike to the end of the last clearcut, which brings you close to the lip of the top falls. Head down steep ridges through the forest to get into the canyon below the lower falls, and walk up the creek to the base of the falls. Flow diminishes when conditions are dry – best in spring or after rain.